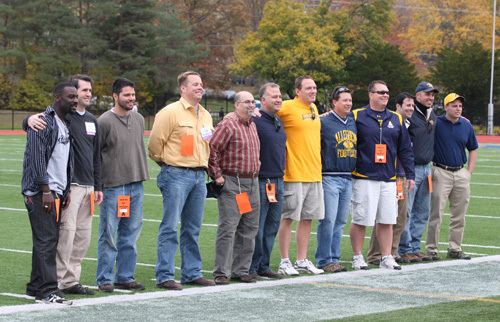 Members of the 1990 Division III national championship team returned to Allegheny at Homecoming on October 23 to celebrate the 20th anniversary of their historic win. Homecoming 2010 saw the return to campus of members of the football team that won the 1990 Division III national championship in a thrilling come-from-behind victory. The Winter 1991 Allegheny magazine celebrated the team’s storybook season, which coincided with the College’s 175th anniversary.